Seeking for a NAME you can trust? 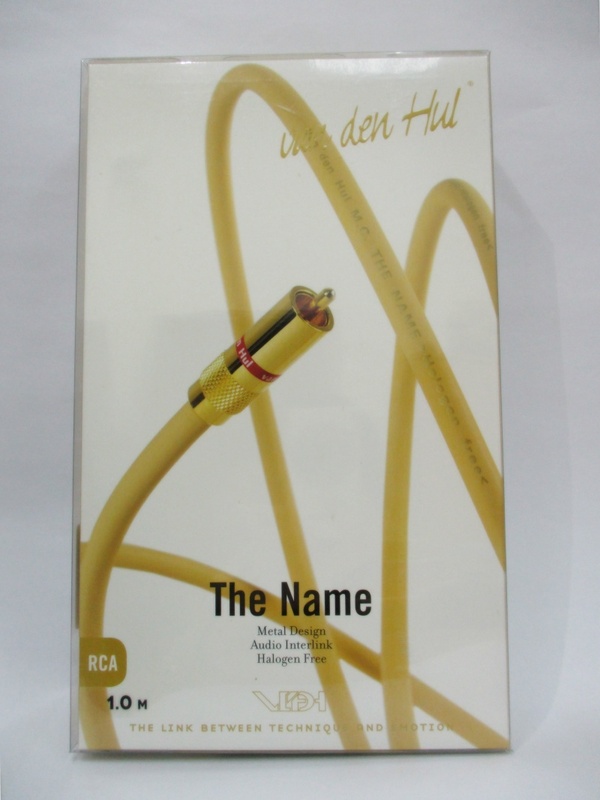 Many people looking for well affordable cabling in their home audio/video setup get confused by the many "nameless" cable products available on the market. With the brand of such cables generally being unknown and their very low price, doubt often rises whether they are a wise buy. They are inexpensive, yes. But how about performance, quality and durability? To make your choice easy, we have come out with a multi-purpose A/V interconnect that’s highly affordable, whilst maintaining the excellent qualities found in our more up-range and high-end cable products, which Van den Hul is renowned for. 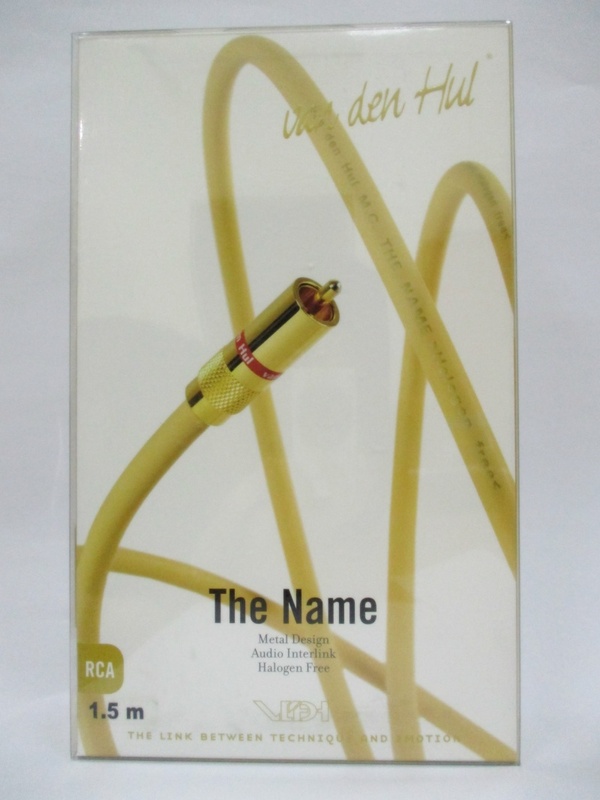 The NAME is ideal for use as audio interconnect in any situation, like wiring your home theater setup or going from CD player to amplifier. Sheer sound quality! Due to its accurate 75 Ohm standard transmission at high frequencies, The NAME however is also perfect in AV applications like antenna/cable TV, video, surround and S/PDIF digital audio connections. Trouble free and lasting high performance! Designing for affordability while preserving top quality poses quite a challenge. Here, our more than 25 years of experience in cable design and production have come to good use. It’s the most imporant ingredient! Why not get yóur wiring “NAMEd” ? Resistance :Core: 1.87 Ohm/100 m.; Screen: 0.949 Ohm/100 m.
Insulation :Core: PE foam; Jacket: HULLIFLEX / 300 Vrms min. Connector types :Special version of our RCA type C - 7.3; Mounted on ordered lengths. Television style coaxial plugs (male and female, metal screened, right angled (elbow type)); Mounted on ordered Lengths of “Antenna” version. Six lead packed sets for AV applications with RCA (unbalanced) connectors in 0.8 m. standard length (*);Single packed “Antenna” version with television style coaxial plugs for antenna/cable TV and radio connections in 1.0, 1.2, 1.5, 2.0, 2.5, 3.0, 4.0 and 5.0m. lengths. (Larger lengths can be made on special request). *: On request VDH other unit lengths are available. Remarks : Connectors need to be factory mounted.